Of the N1, 482,199,390.87 generated by the Federal Ministry of Trade and Investment between 2012 and 2015 as revenue from payment for trademarks, patents and designs, a total of N85, 106,851.71 could not be accounted for by the Ministry, the ICIR can authoritatively report. According to a report of an in-depth inspection of revenue records of the ministry instituted by the office of the Accountant General of the Federation, which was exclusively obtained by the ICIR, the ministry remitted N1, 397,092.16 to the government in four years. The report indicted the ministry, Novalsys Limited, a consultant, and Skye Bank in the shoddy remittance of proceeds from payment registration fees for trademarks, patents and designs. The report accused the ministry of not keeping proper records for trademarks, patents and designs, and signing an agreement with Novalsys Limited in 2010 for a N200 million contract to develop a web-based registration platform for trademarks, patents and designs without following the 2007 Procurement Act. It also said Skye Bank was insincere in its dealing with the ministry in terms of remittances. But despite the illegality of the contract awarded to the company, the agreement was renewed in March 2014. Details of the renewed contract could not be traced to the legal department of the ministry, the report further revealed. In addition, it said the consultant could not guarantee the remittance of its total online collections to government account, noting that while all revenue collected under the pay direct was remitted to the treasury by the bank, the online version was not fully remitted. The bank, the report recommended, should be made to refund to government, all outstanding sum of N85, 106,851.71. It could not be established if the bank had since refunded the amount to the government. Although staff of the ministry abreast of the happenings did not want to be mentioned in the press for fear of victimisation, they told the ICIR that no dime had been paid back by the bank. The report revealed how the ministry, in violation of the Federal Government’s policy on Single Treasury Account (TSA), maintained a secret account with Skye Bank — run by Novalsys Limited, which later transformed to Einao Limited. Investigations by the ICIR revealed that Einao Solutions Limited, registered on May 2, 2011, at Corporate Affairs Commission (CAC), does not have anything to do with Information Technology service, unlike Novalsys, registered in 2008 with objectives including rendering communications and system solutions related services. In January 2016, the office of the Accountant General of the Federation had set up the inspection panel comprising two treasury officers from his office to carry out an in-depth inspection of revenue records of the ministry and also determine the status of Upper Link Ltd, a subsidiary of Einao alleged to be receiving part payment of government revenue at the Commercial Law Department. This followed a letter from the then Permanent Secretary in the Ministry to the office of Accountant General of the Federation dated January 11, 2016, requesting for an in-depth inspection of revenue records of the Commercial Law Department of the Ministry, based on a complaint the Permanent Secretary received from the Association of Senior Civil Servants of Nigeria in the ministry. Two treasury officers — Ayeni I.R, an Assistant Director and Bola-Audu I, Principal Accountant — were assigned to carry out the investigation. But, when contacted, Olujimi Oyetomi, Deputy Director of Press at the Ministry of Industry, Trade and Investment, told the ICIR that he did not have the authority to comment on this revelation. Despite the Federal Government’s directive that all Ministries, Departments and Agencies (MDAs) should close all their accounts with commercial banks, the Ministry of Trade and Investment still maintains an account (up to date) with Skye Bank, with which payments made for trademarks, patents and designs are collected by the consultant (Einao Nigeria Limited). Although the ministry and management of the bank had denied the existence of such account on many occasions, arguing that all the former’s accounts with the latter had been closed down in compliance with the TSA policy, unsuspecting members of the public are still made to pay into Account Number 1770393883 for trademarks, patents and designs registration. Findings by the ICIR show that while the management of Skye Bank, through a letter dated September 7, 2017, addressed to the Special Presidential Investigation Panel on the Recovery of Public Property, claimed that the account had been closed down since June 3, 2016, there was still evidence of payments into the same account as of October 2017. Earlier, on January 11, 2016, the management of the bank wrote to the Director of Finance and Accounts of the ministry, saying it had closed down all its accounts, including the one for e-collection of payments for trademarks, patent and designs and the balances duly transferred to the Central Bank of Nigeria (CBN). On September 12, 2017 Aminu Aliyu Bisalla, the then Permanent Secretary of the ministry, wrote a letter of complaint titled ‘Breach of TSA Policy by Skye Bank Plc’, to the Governor of Central Bank of Nigeria (CBN). In the letter, he argued that the ministry, in compliance with the presidential directive on TSA, had duly closed down all accounts with the commercial banks since the inception of the directive. Bisalla said further confirmation of same was made by the bank to the ministry through a letter dated January 11, 2016. He implored the Governor of CBN to take immediate action on the breach by the bank. However, in October and November 2017, the bank received in the account in the name of the ministry a total of N20, 625,500 and N22, 609,500 respectively. While the department is using two methods of revenue collection – online registration that is managed by Einao Nigeria Limited and, the direct payment – revenue generated is shared at the ratio of 80:20 at Skye Bank at the end of every month. The report indicated that the ministry could not trace who instructed the management of Skye Bank on 80 percent remittance to the Federal Government account and 20 percent deduction for the ministry. It further disclosed that the 20 percent share of the revenue going to the ministry from collection had no approval, noting that what was termed approval which was given by former President Olusegun Obasanjo was for a specific period which elapsed in 2012. Though, the consultant could not present the total number of applications received, processed and approved since it was engaged to collect revenue on behalf of the government through the online platform, the online payment portal has continued to be operative. The ICIR gathered that management of the ministry had taken no action to either stop the online payment and collection by the consultant, or close down the account with the Skye Bank. The panel report recommended the closure of the account number 1770393883 with the Skye Bank on online payment platform managed by NOVALSYS/ Einao for revenue collection. This is despite numerous memos purportedly written by William Amuga, erstwhile Registrar of Department of Commercial Law, on it to Okechukwu Enelama, Minister of Trade and Investment, and the directive by the Presidential Committee on Asset Recovery for its closure. Another report submitted to the minister by J.K. Ehicheoya, legal adviser of the ministry, recommended the termination of the contract with the consultant as a result of many infractions committed in the collection of fees for the ministry. While the Minister promised to reform the Department of Commercial Law after receiving the report, the only reform noticeable was the transfer of the Registrar to the Office of the Head of Service of the federation, while the consultant continued receiving payments on behalf of the government. For his insistence that the collection of revenue through the online platform into the account number 1770393883 with Skye Bank be stopped, Amuga William, Registrar of the Department of Commercial Law, was transferred from the Ministry to the Office of the Head of Service of the Federation in clear violation of the extant Federal Government Service Rules. He was posted to head a non-existing Special Duties Department at the office of the Head of Service of the Federation. When he was first posted outside the ministry in 2011, the Head of Service of the Federation, in a letter dated August, 8, 2011 wrote that the posting did not fall within its purview but that of the Federal Ministry of Justice. It was advised that he should be returned to the latter for further deployment. The office of the HoS had advised against removal of Assistant Registrar of the department whose duty, according to Cap 436 and 344 of the Laws of of the Federation of Nigeria 1999 is “the administration and registration of industrial property, otherwise known as trademarks, patent and designs”. 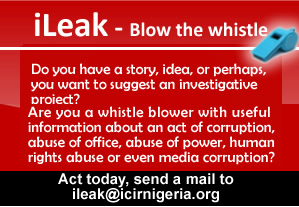 Investigations by the ICIR revealed that William wrote several memos to Aminu Bisalla, Permanent Secretary of the ministry, and Okechukwu Enelamah, Minister of Trade,urging them to look into the illegality of the consultant collecting revenue when the contract had expired and also the TSA policy violation. In one of such memos obtained by our correspondent, William detailed all factors militating against optimal performance of the registry of trademarks, patents and designs in the Department of Commercial Law. “However, the fee being collected on behalf of government by the consultant has been going into an account purportedly in the name of Federal Ministry of Commerce with Skye Bank with Account Number 1770393883. He had on November 20, 2015 directed the consultant, Einao Solutions Limited to suspend collection of revenue on behalf of the Ministry, arguing that such online collection by the consultant was not in line with the TSA policy. But the Permanent Secretary, who reportedly reprimanded Amuga for issuing such suspension directive without his approval, ordered him to withdraw it. Thus, five days after the first directive, a withdrawal of suspension memo was issued by the Registrar to the consultant.